All are invite to participate in this highly symbolic ministry of bringing the light of Christ into our midst during Sunday Morning Worship. This simple act helps us to focus our attention on whatʼs before us. We are looking for children of all ages (7 years-95 years young) to share the light. If you are interested in joining in, contact Barbara Stucke (716-655-6246) or bstucke@roadrunner.com for more information. the 1st and 3rd Sundays. worship service and would love to have you join them. 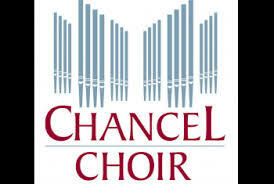 They rehearse Wednesday evenings at 7:30 P.M. If you love to play church bells this is the group for you. You will need to have a knowledge of music and how to play the bells. Rehearsal is Wednesday at 6:30 p.m.